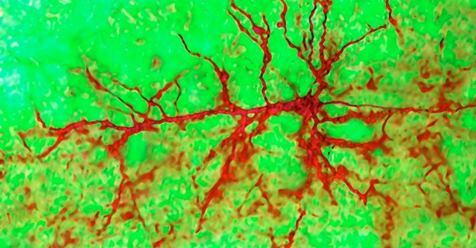 A new study provides further evidence that the adult brain in humans does grow new neurons (a process called neurogenesis) in the hippocampus–the section of the brain where learning, memory, and mood regulation is controlled. These new brain cells may play a role in depression, PTSD, Alzheimer’s, epilepsy, etc. Read the article (Karen Weintraub, Scientific American, 25 March 2019). And, go to the source — Adult hippocampal neurogenesis is abundant in neurologically healthy subjects and drops sharply in patients with Alzheimer’s disease (Elena P. Moreno-Jimenez, et al., Nature Medicine, 25 March 2019). B. dendrobatidis or Bd is a fungus that infects the skins of amphibians (frogs, toads, salamanders, newts, etc.) and then kills them. Bd has been around since at least the 1980’s, but only recently has research quantified that Bd has caused declines in 500 amphibian species globally–more than 40% of those species are now extinct or have lost more than 90% of their population. Read the article (Stephanie Pappas, Scientific American, 28 March 2019). And, go to the source — Amphibian fungal panzootic causes catastrophic and ongoing loss of biodiversity (Ben C. Scheele, et al., Science, 29 March 2019).